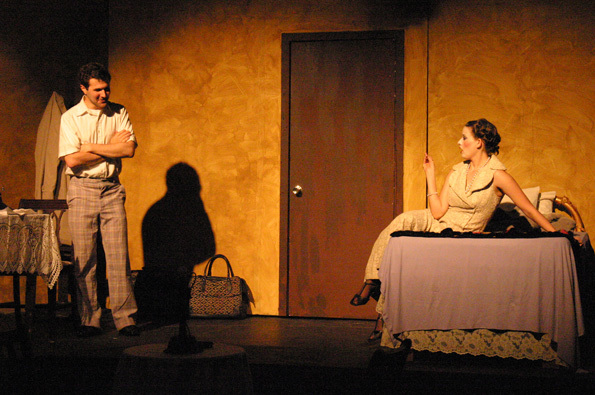 In the Summer of 2007, I had a leading role in the Musical Theatre Guild (MTG) production of Cabaret. I played the part of Clifford Bradshaw, an American novelist who travels to Berlin around the time of the Third Reich. Clifford Bradshaw (Barry Kudrowitz) meets Sally Bowles (played by Mia Shandell). Photograph by Jax Kirtley. Clifford Bradshaw (Barry Kudrowitz) sings with Sally Bowles (played by Mia Shandell). Photograph by Jax Kirtley. 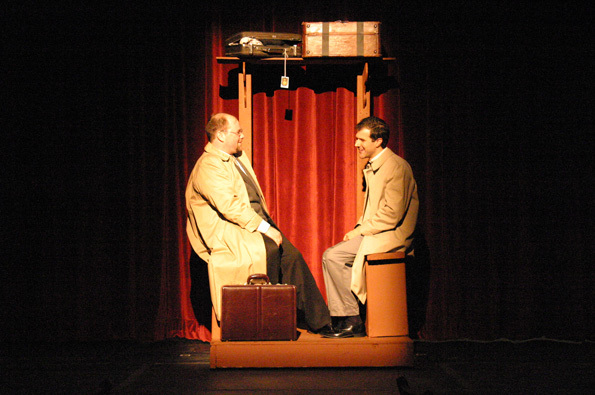 Clifford Bradshaw (Barry Kudrowitz) meets Ernst Ludwig (played by J. Michael Spencer). Photograph by Jax Kirtley.